How to stop the Apple Music ads every time I launch the Music app? Lately, the Music app on my iPhone XR has been showing the "Join Apple Music!" call-to-action interstitial screen pretty much every time I launch it. Usually this happens when I'm in a bad-network area, too, so it takes a few minutes before it appears, preventing me from playing my locally-stored music and playlists. And yet I still get the interstitial ad for Apple Music at least once a week, if not more. Is there any way to disable this "feature?" Browse other questions tagged iphone itunes music . How to fix iPhone that displays artists out of order in the music App? How can I see music downloaded to my iPhone via Amazon Cloud Player in the Music app? Why is my iTunes Music app suddenly skipping every track? 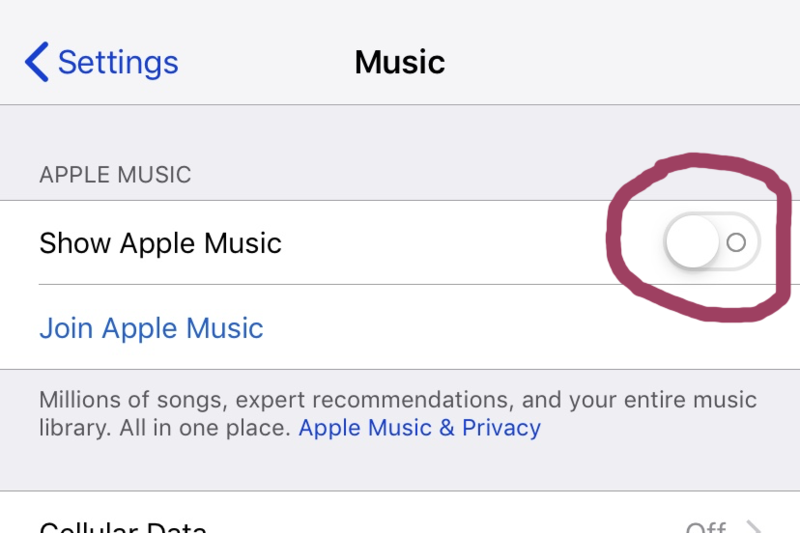 iTunes + Music app: how to sync star ratings? How to copy/sync music downloaded from Apple Music on iTunes to iPhone? Can I hide purchased music from the Music app in iOS 10?